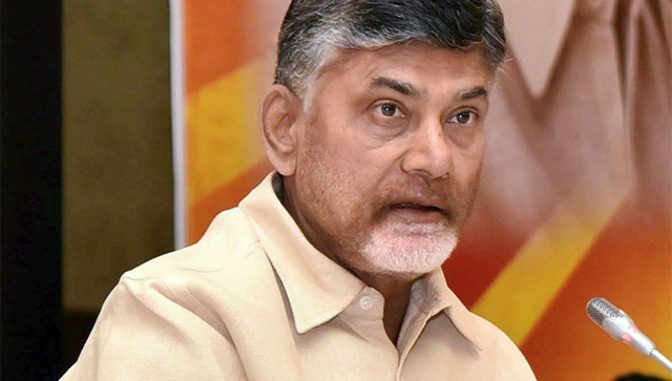 New Delhi: Andhra Pradesh Chief Minister N. Chandrababu Naidu on Friday said that the Central Government and the state governments must work together to accelerate the growth in the agriculture and food processing industry in the country by rolling out policies and incentives in the sector. “The Central Government and state governments must work together to accelerate agriculture and food processing industry in the country by rolling out good policies and incentives in the sector. We have to encourage the Public Private Partnerships (PPP) also to make the sector commercially viable and governments have to invest huge money on this. All stakeholders must work together to improve food processing in India,” the chief minister said, while addressing the gathering at an interactive panel session on ‘Nourishing the Food System’ at the World Economic Forum’s India Economic Summit-2017. Stating that the technology has become handy today, Andhra Pradesh Chief Minister averred that we are implementing various technologies in the areas of rainfall, groundwater, soil moisture and soil testing. “The food processing industry is very important for the country and since standalone units cannot survive in the sector there is a need for medium and mega food parks to make it more economical. Technology has become handy today and Andhra Pradesh is implementing various technologies in the areas of rainfall, groundwater, soil moisture and soil testing. The state is supplying micronutrients to farmers for free providing them abundant benefits. We have achieved saturation in soil-testing. Through drone-based cloud technology, we are giving soil test reports in real time for farmers in the state,” he mentioned. He further said that Andhra Pradesh has achieved a 27.7 per cent growth rate in agriculture for first quarter of 2017-2018. Naidu added that by using technology, we have to devise our strategies and produce results for the common man. “Ultimately, we have to increase the income of the farmer and provide food security for the poorest of the poor. In this regard, we are engaging with organisations like the Bill and Melinda Gates Foundation, the World Bank and the World Food Prize,” he noted. The chief minister also said that food habits of the people are changing today from food like paddy and rice to fruits, livestock and milk products. Speaking on the potential of aquaculture, he said the aquaculture was growing and has grown at the rate of 42 per cent in Andhra Pradesh. “Andhra Pradesh can become the aquaculture hub for the world given its long coastline of 974 km,” he said. The chief minister also apprised that the Andhra Pradesh Government and the Bill and Melinda Gates Foundation are organising a global event on technologies in agriculture in November. “As a government, we are encouraging start-ups and technology companies for benefitting the farmers. I want to implement all the technologies available in the world for strengthening forward and backward linkages in the agriculture market,” the chief minister said. “Agriculture and technology must go together. The governments should roll-out excellent policies and incentives and leverage PPP models for the sector. We want to make Andhra Pradesh a model in food processing in the country,” he added.